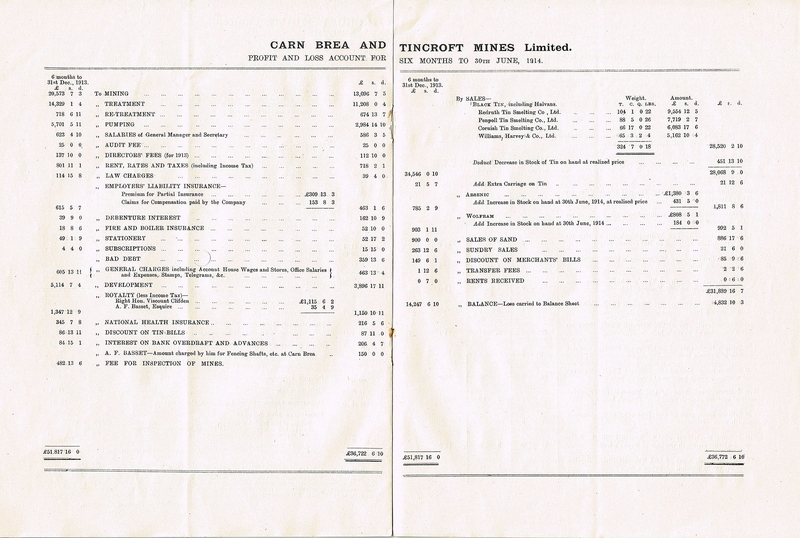 Cornish Mining Documents: So, I love collecting paperwork from a bygone age. 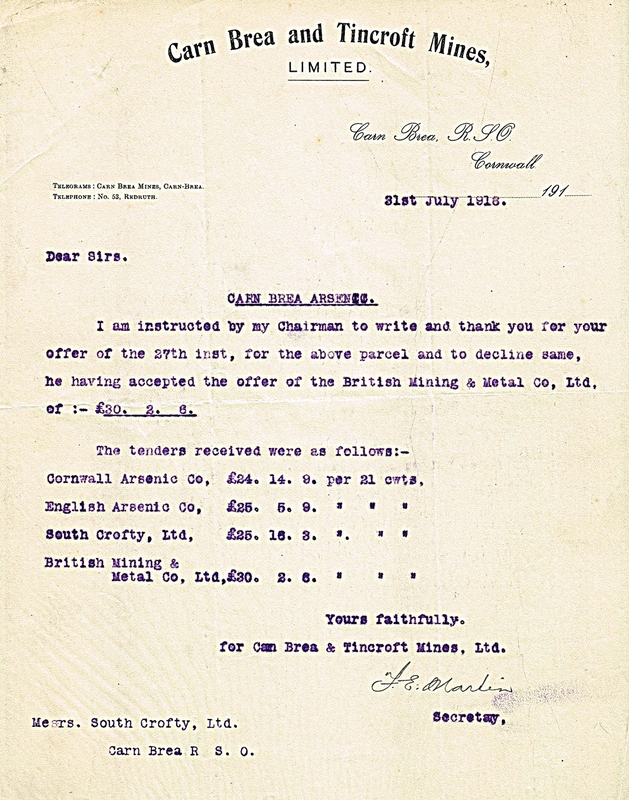 It seems like many hours of looking at ebay and junk shops in the hope of finding something interesting has certainly paid off to some degree. 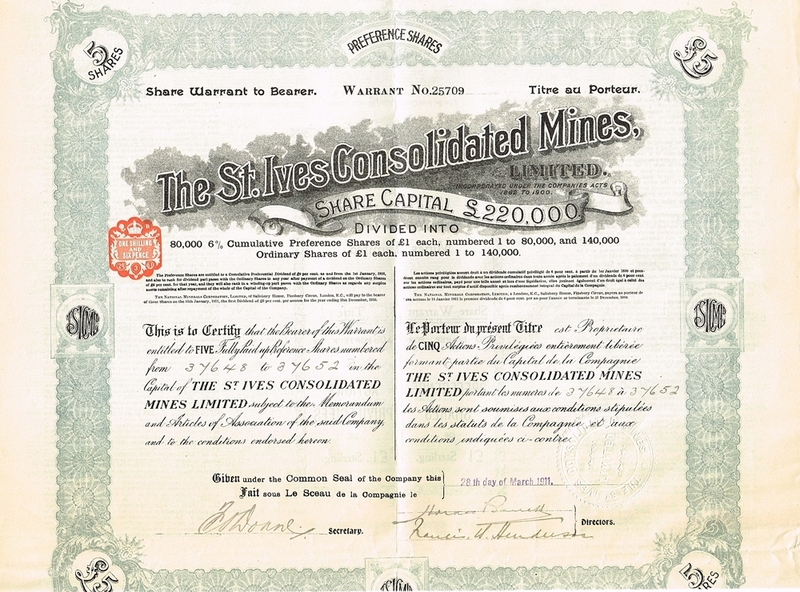 The fantastic quality of design on some of the share certificates is wonderful. 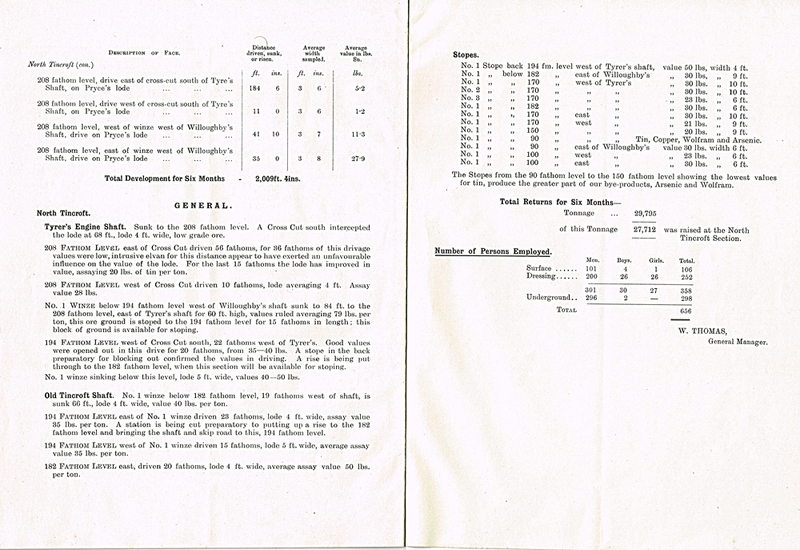 So ornate and impressive to those adventurers looking for an investment, certainly very tempting. There are also Mine Reports for shareholder Issues and various letters. 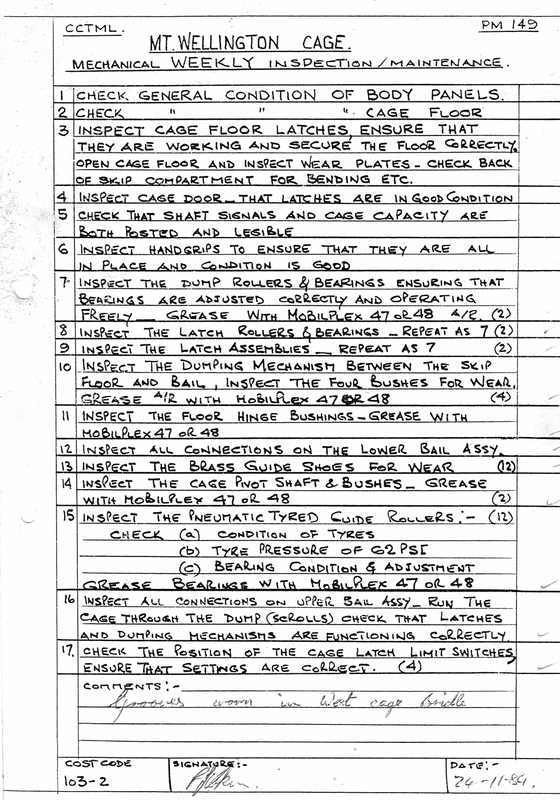 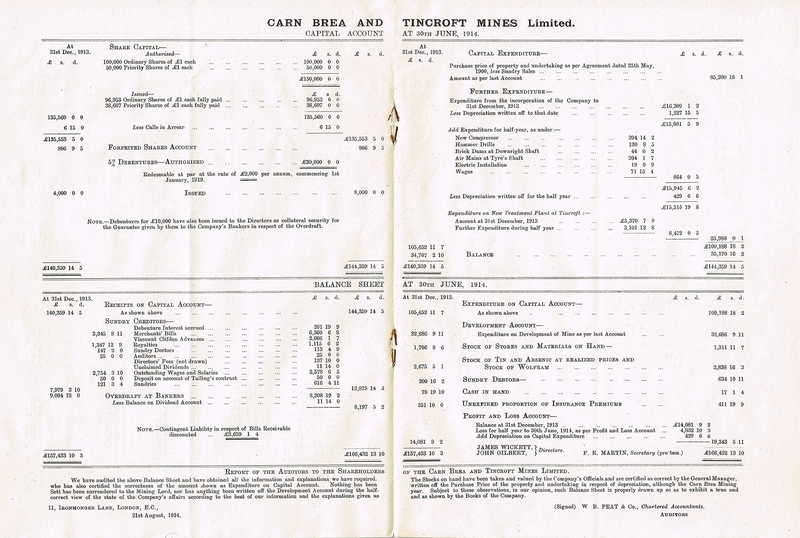 Along with notices and checklists from Mount Wellington Mine during the 1980’s, in addition some salvaged South Crofty paperwork. 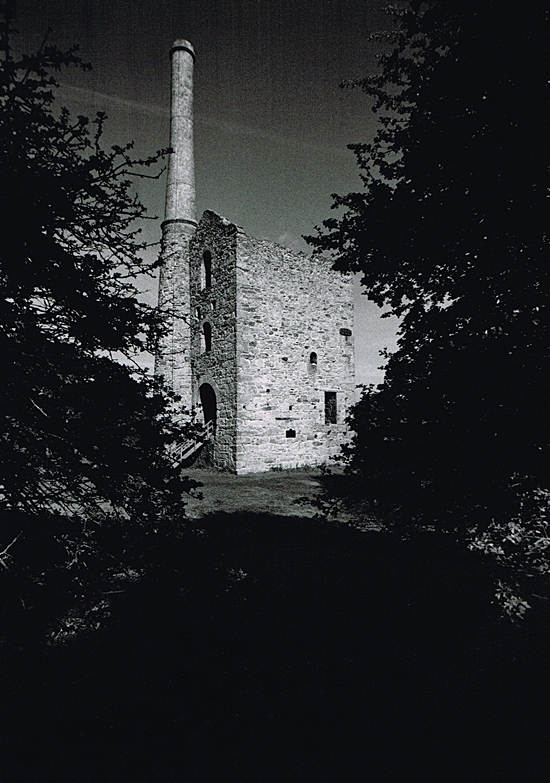 Dolcoath Mine, New East Shaft Engine House. 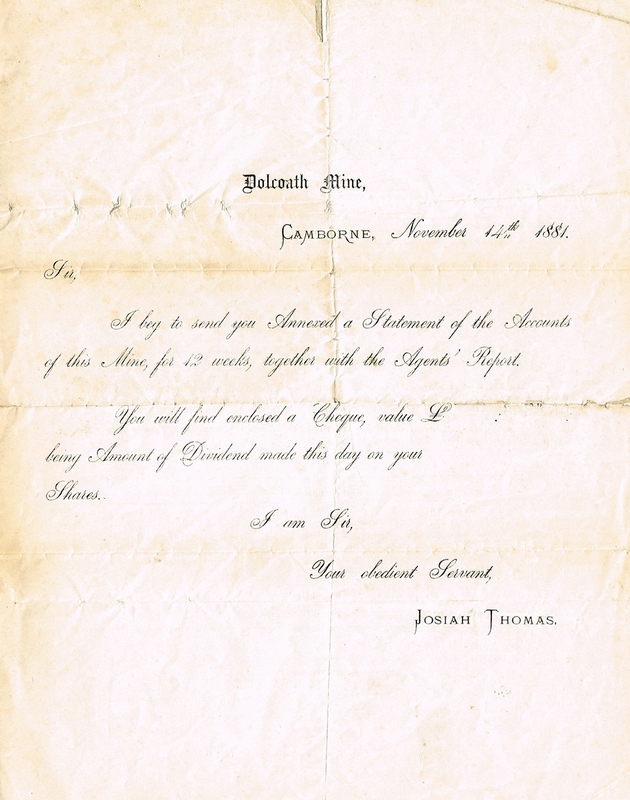 The paperwork below is from Josiah Thomas who was the Dolcoath Mine Captain from 1867 to 1895. 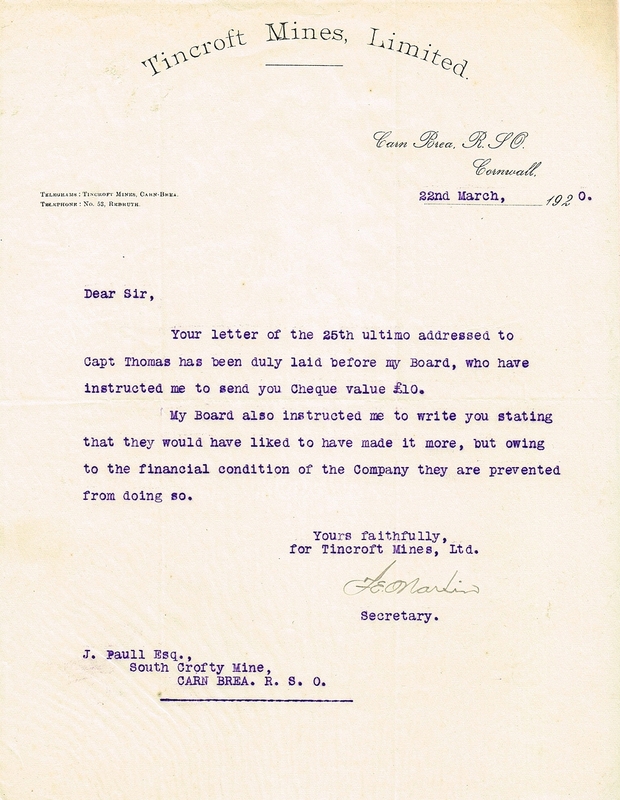 He firstly introduced compressed air drilling machines to the mine in 1876, also Californian Stamps in 1892. 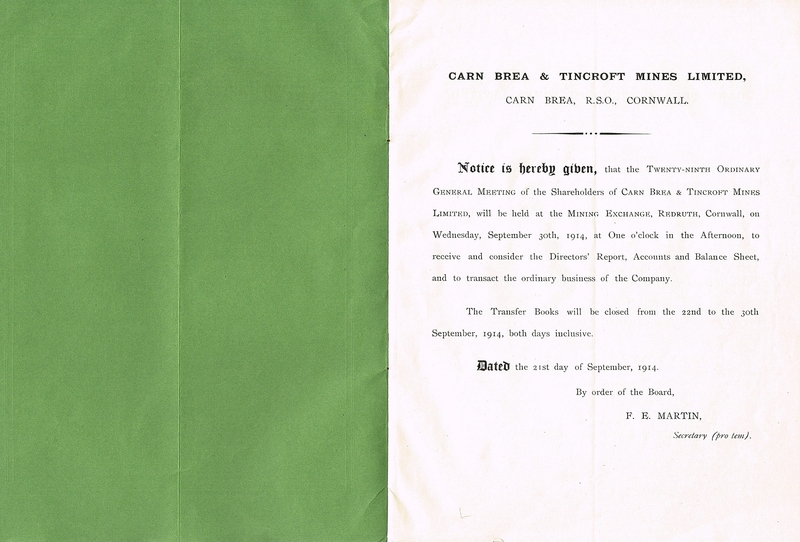 He was duly appointed managing director of the mine in 1895 and died in October 1901. 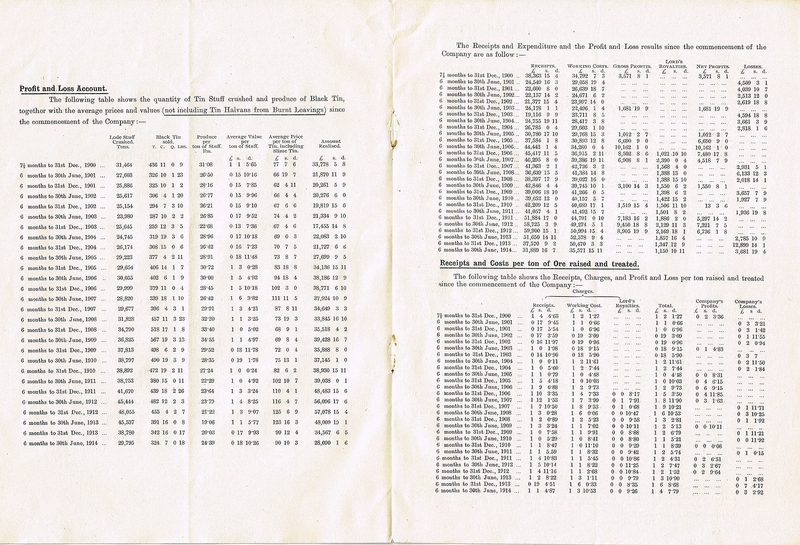 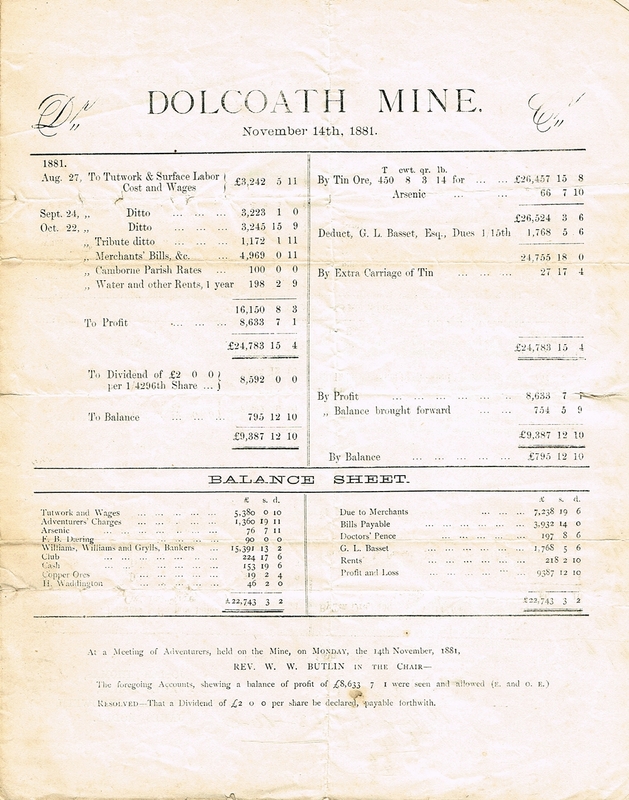 The Dolcoath Mine Report, this was issued in 1881. 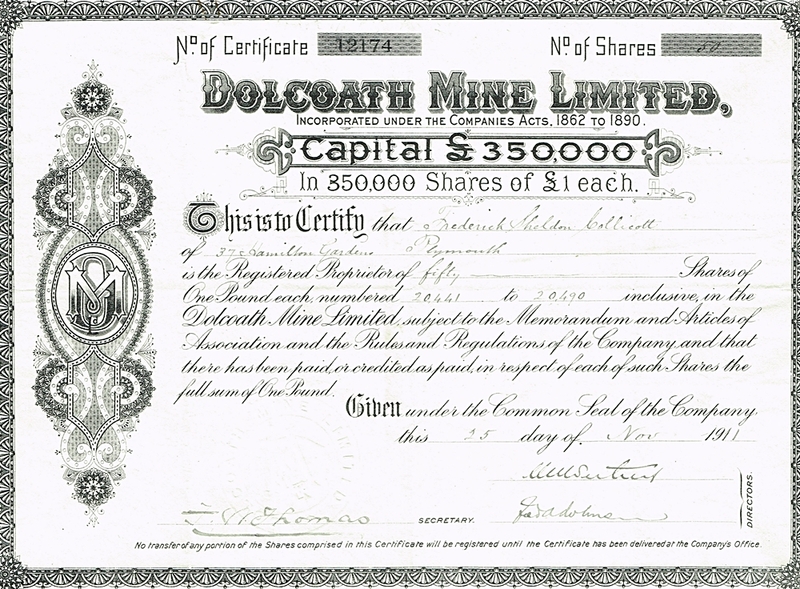 A Dolcoath Mine Share Certificate, this is dated 1911. 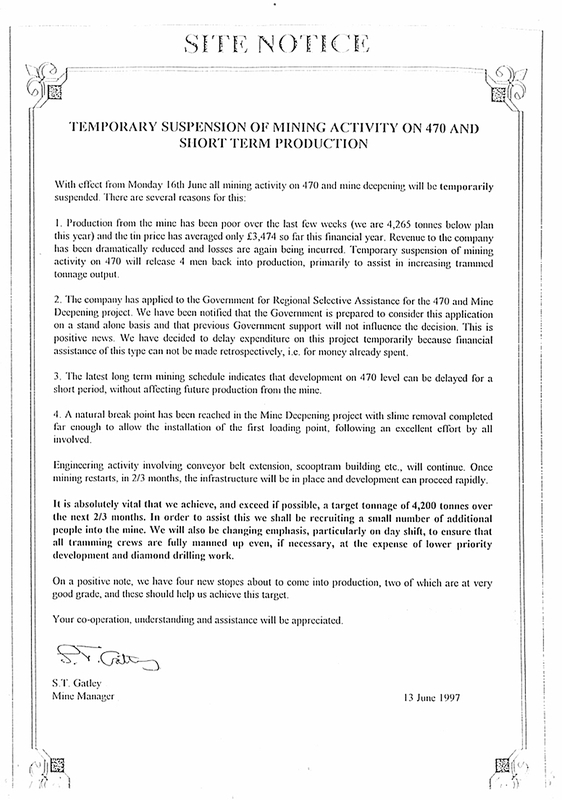 This was issued in an attempt to fund the final years of the mine operation. 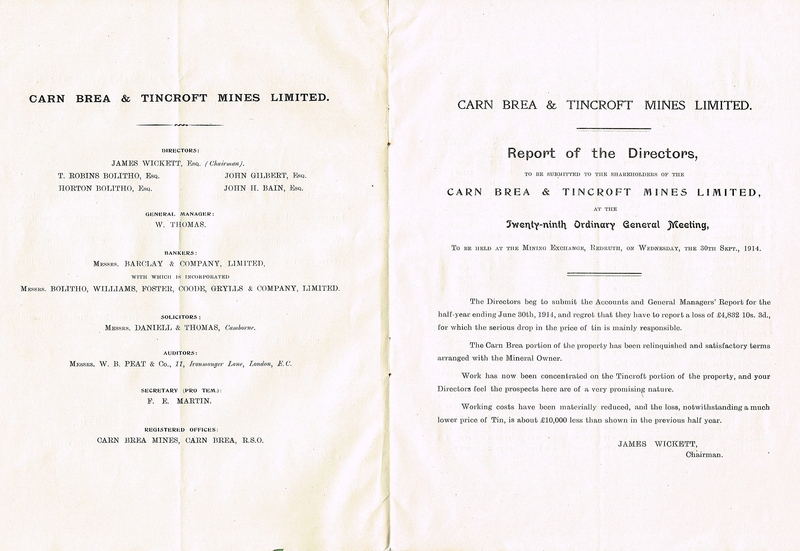 Tincroft Mine, these are the remains of the Compressor House on the left (this supplied air to the drills used underground and two air winches). 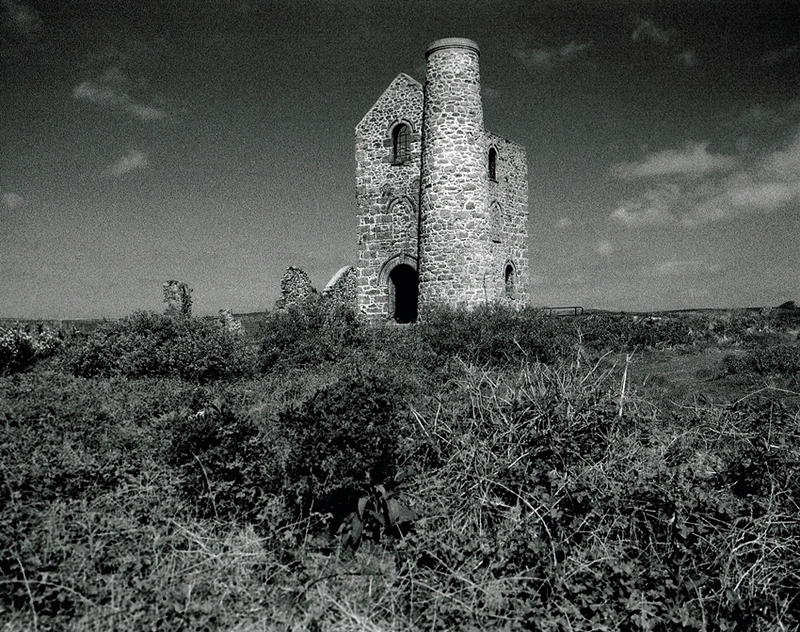 While on the right is the last surviving Man Engine House in Cornwall. 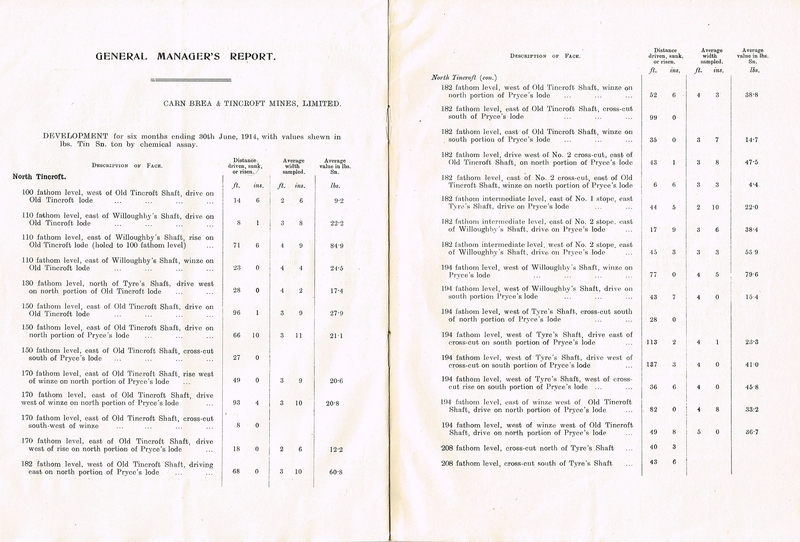 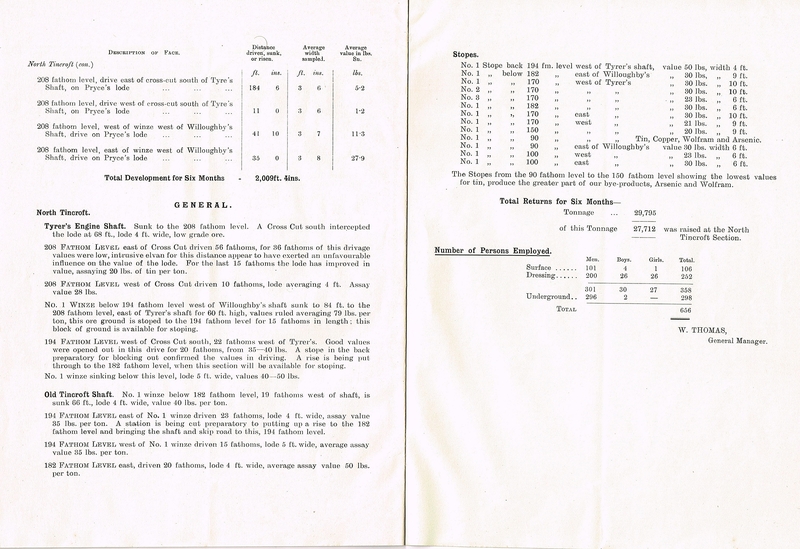 Next is the General Manager’s Report to the 30th June 1914. It is interesting to note on the Chairman’s Report page 3 it is reported that the Carn Brea Section had been relinquished, and work will be concentrated on the Tincroft Sections of the Mine. 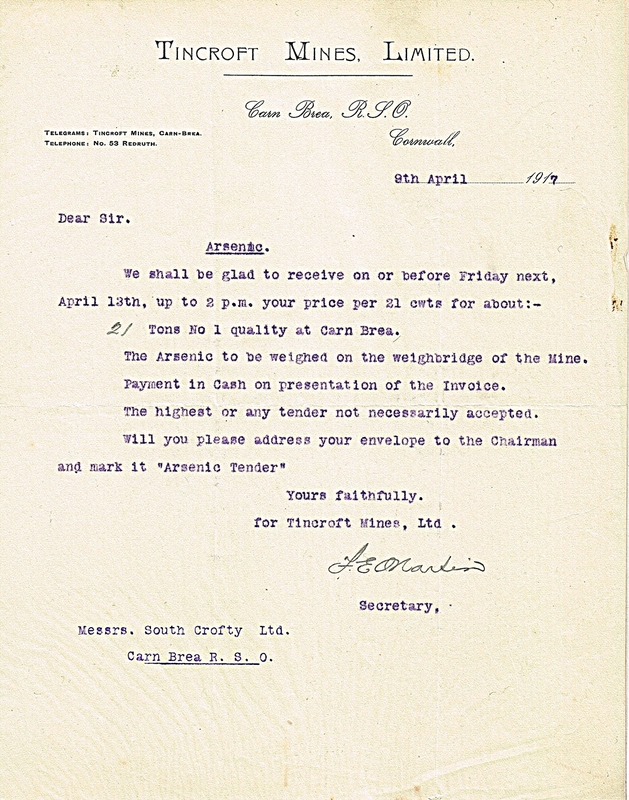 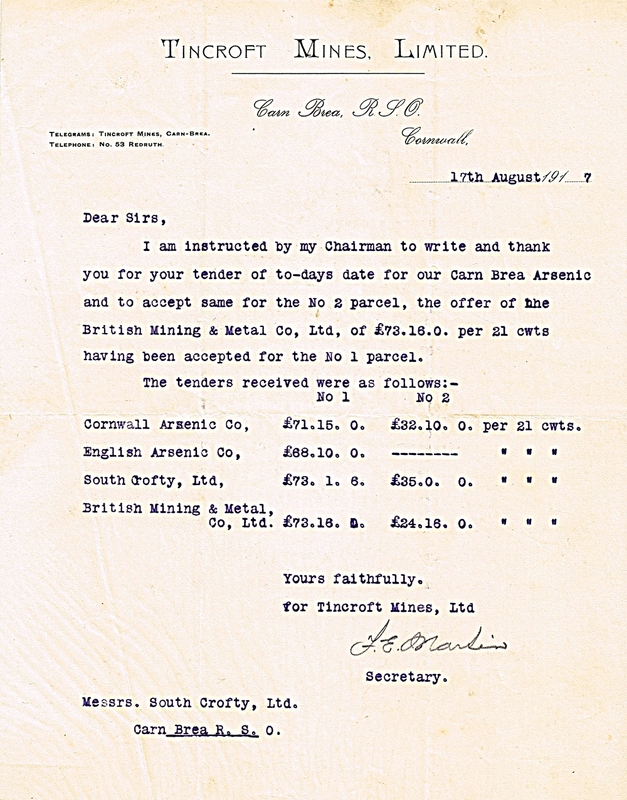 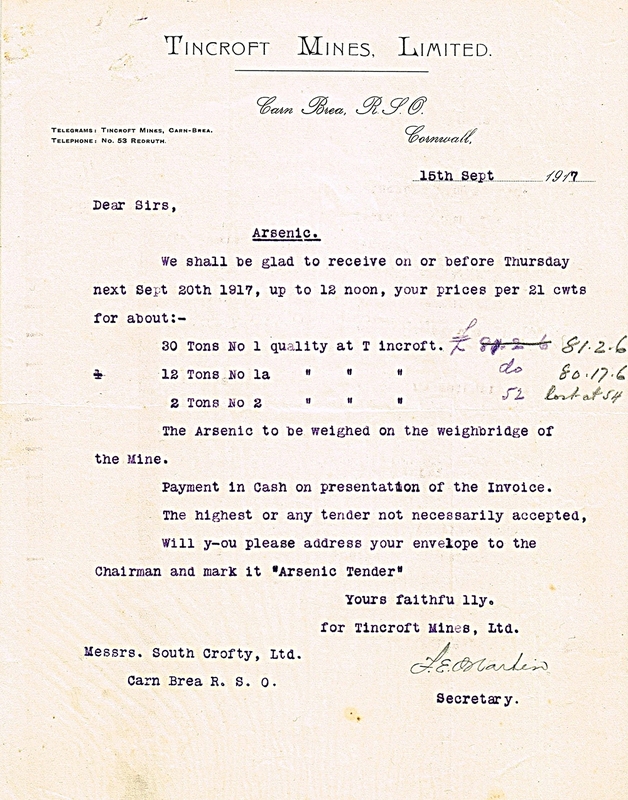 Below are a small selection of letters from Tincroft Mine. 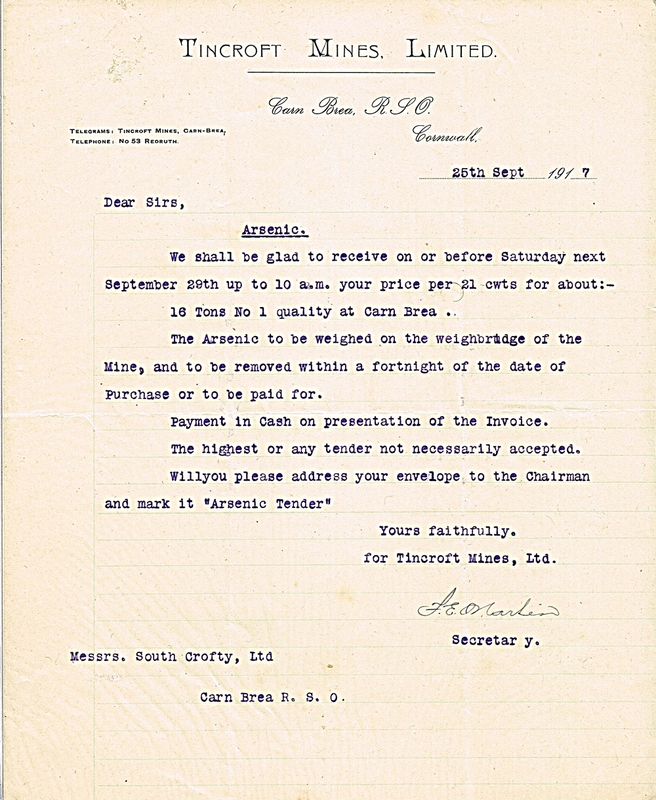 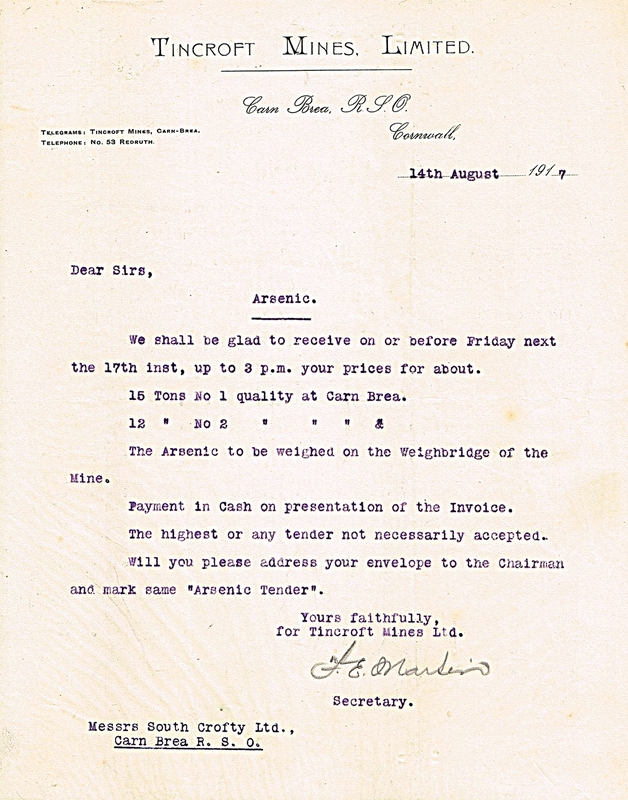 The dates vary from 1917 – 1920, also it is interesting to see the changes in the letter head over those years. 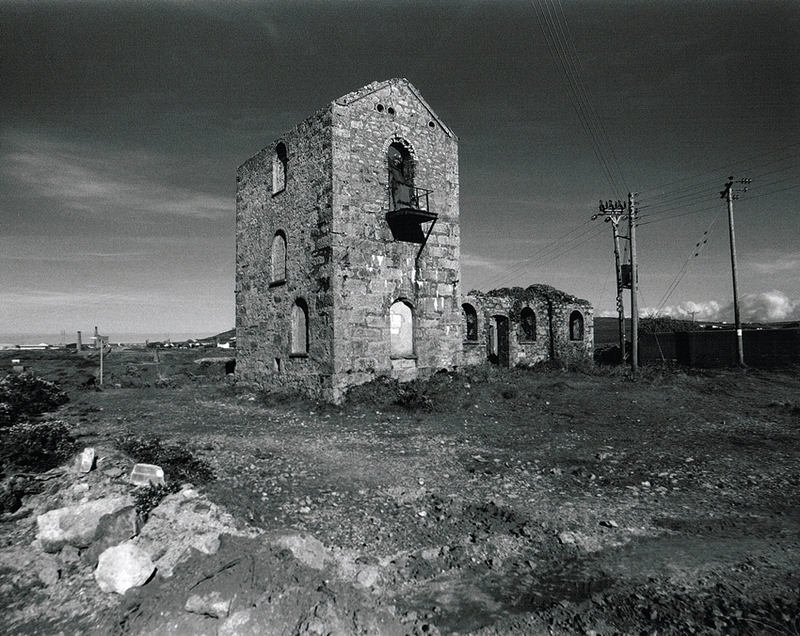 The Pumping Engine House of Giew Mine from the boiler house side. The shaft here is 225m deep and known as Frank’s Shaft. 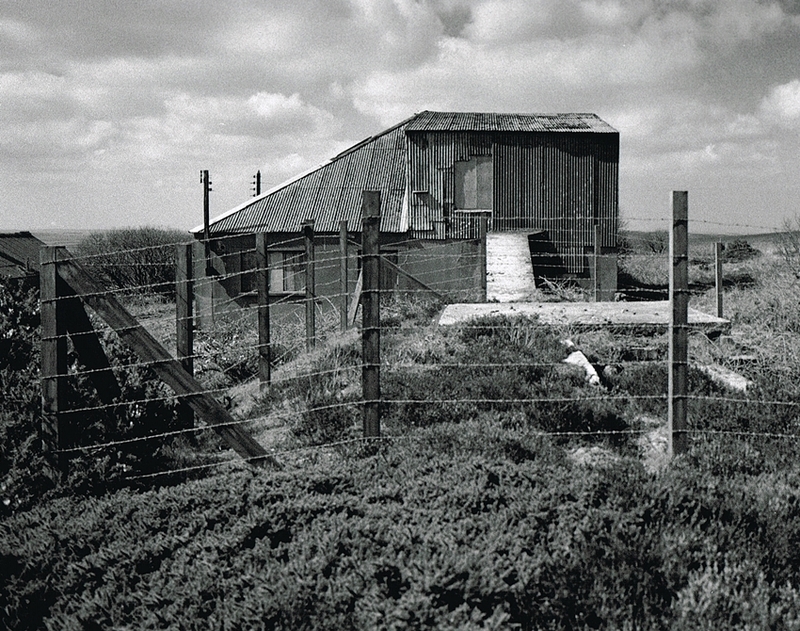 It is situated on the Western side of Trink Hill beside the B3311. 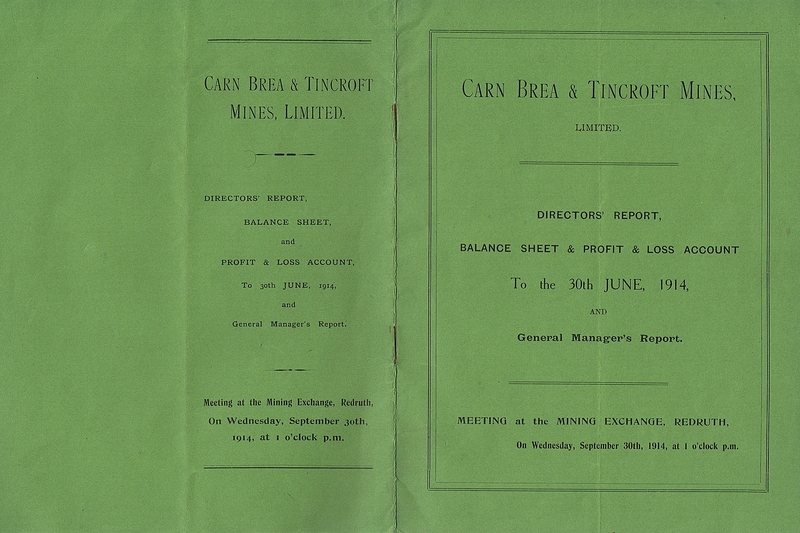 The mine worked from 1838-1922 producing 145 tons of Tin. 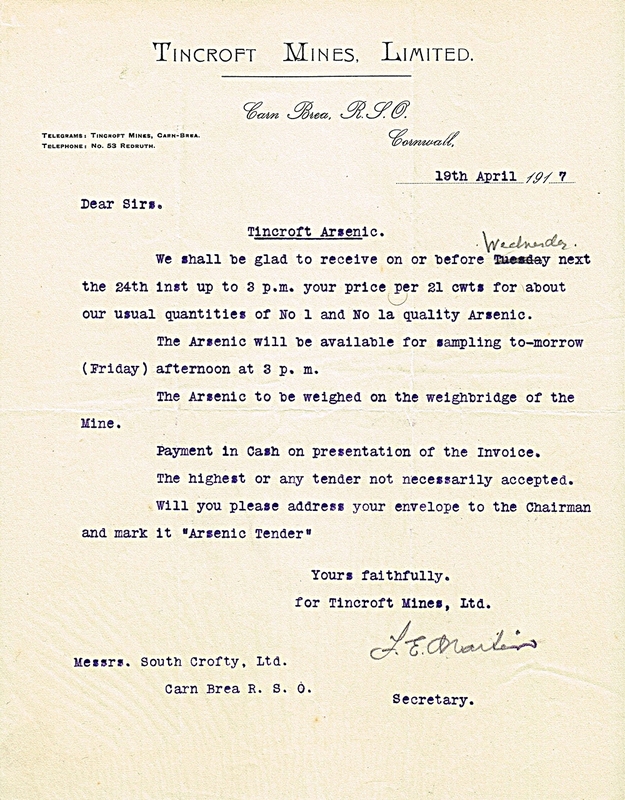 In 1907 the mine was consequently re-opened as part of “St Ives Consolidated Mines” along with other local setts. 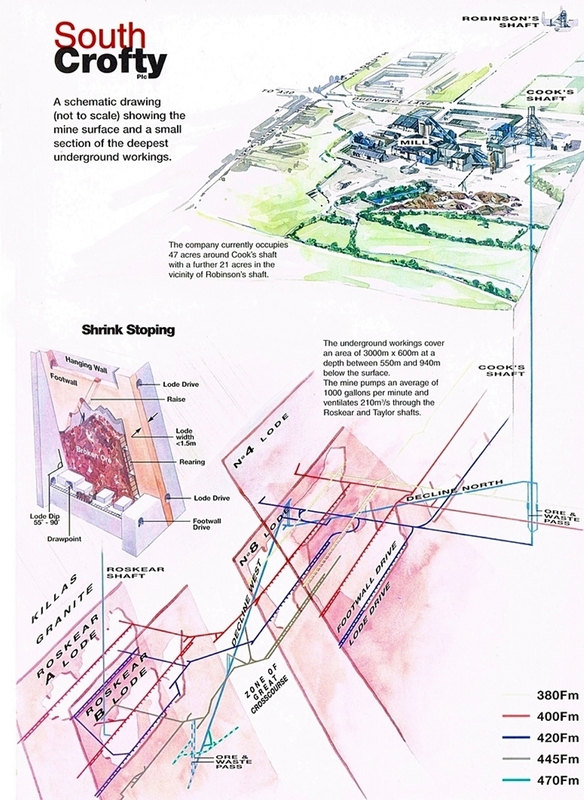 This is the preserved 90″ Pumping Engine on Taylor’s Shaft of East Pool and Agar Mine, it is open to the public run by the National Trust certainly worth a visit. 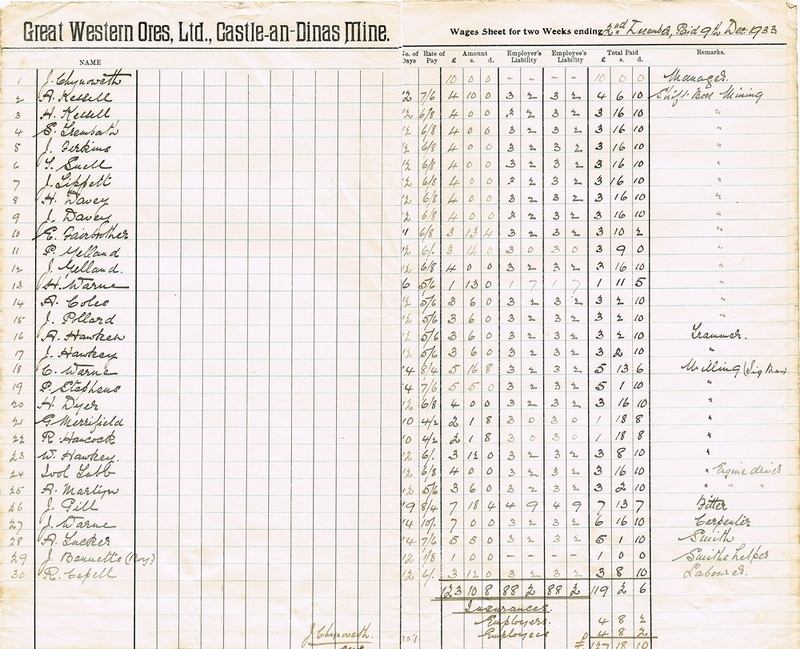 Castle-an-Dinas Wolfram Mine, it closed in 1957 after a 40 year life. 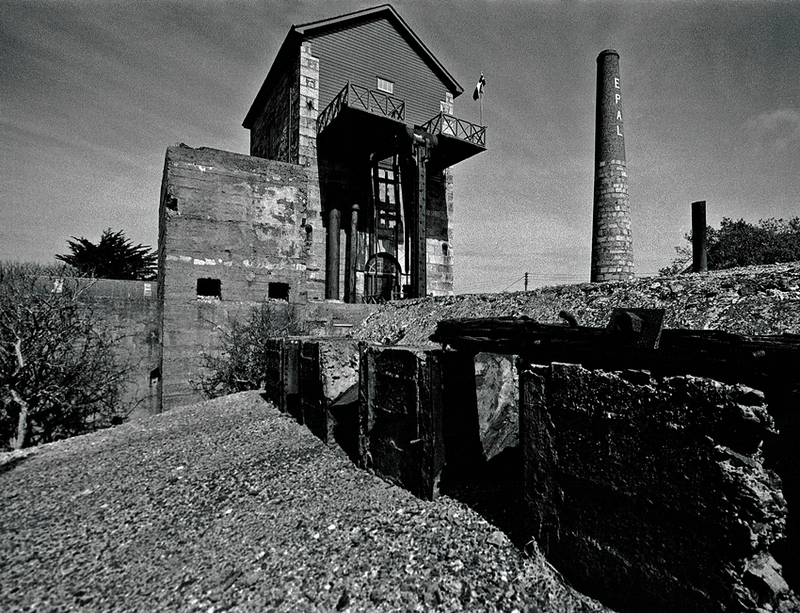 This image shows the Combined Compressor and Pumping Engine House, while the shaft here surrounded by the fence is capped in concrete. A pay sheet for Castle-an-Dinas Mine dated 9th December 1933. 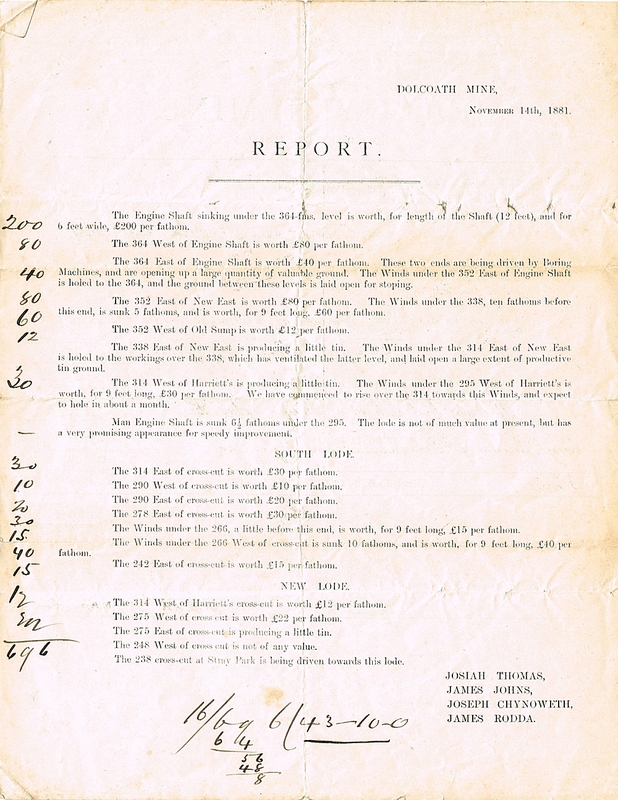 Probably one of my favorite pieces of history. 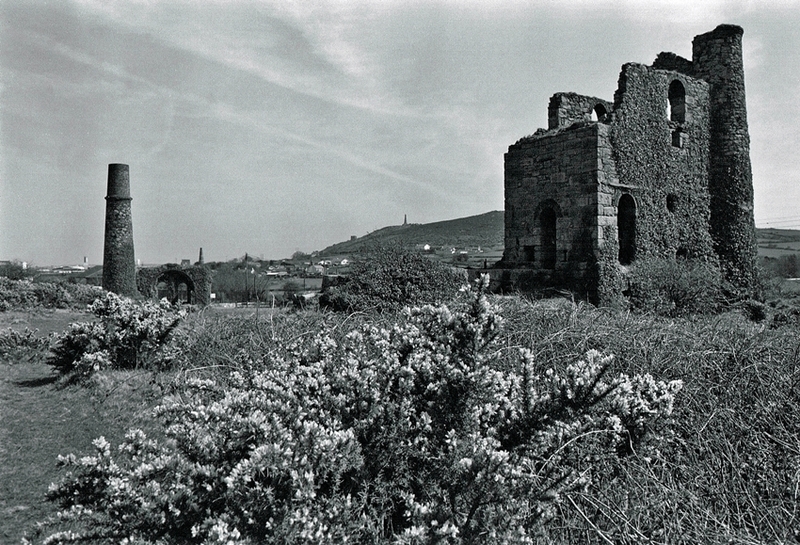 Hawke’s Engine House through the trees. 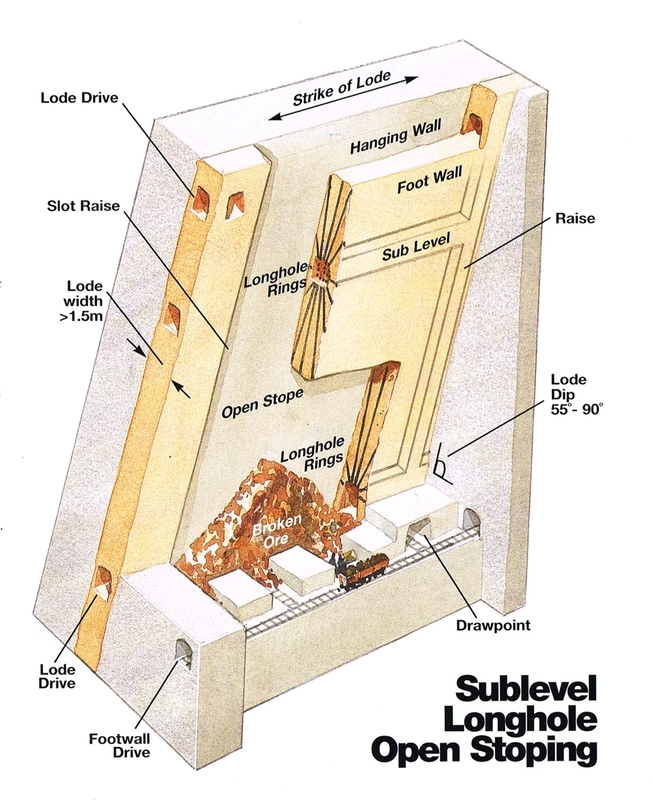 The shaft is behind the house and reached a depth of 125 fathoms. 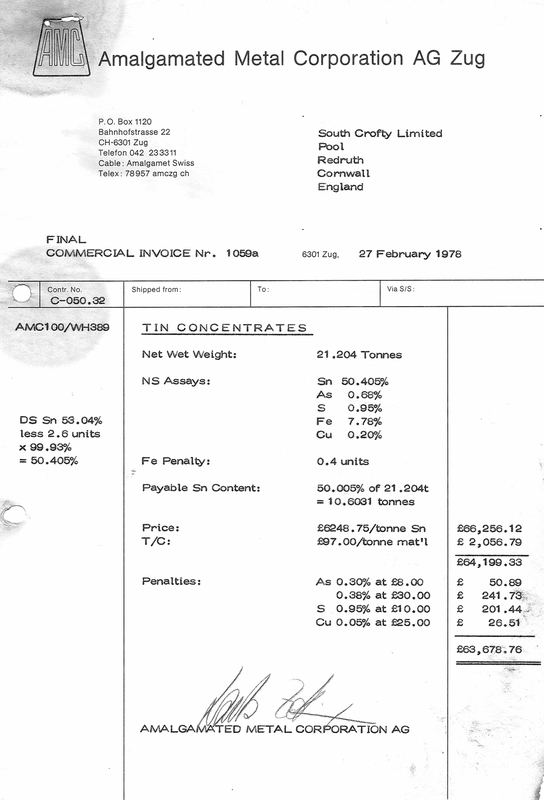 Before capping the pump rod and rising main were still in situ in the shaft. 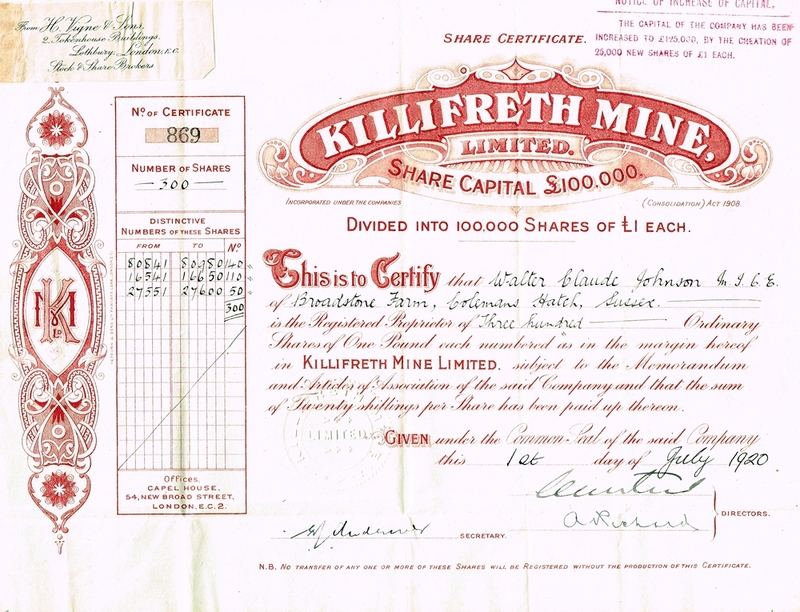 Another Share Certificate, probably the best I own, brought in an on line auction. 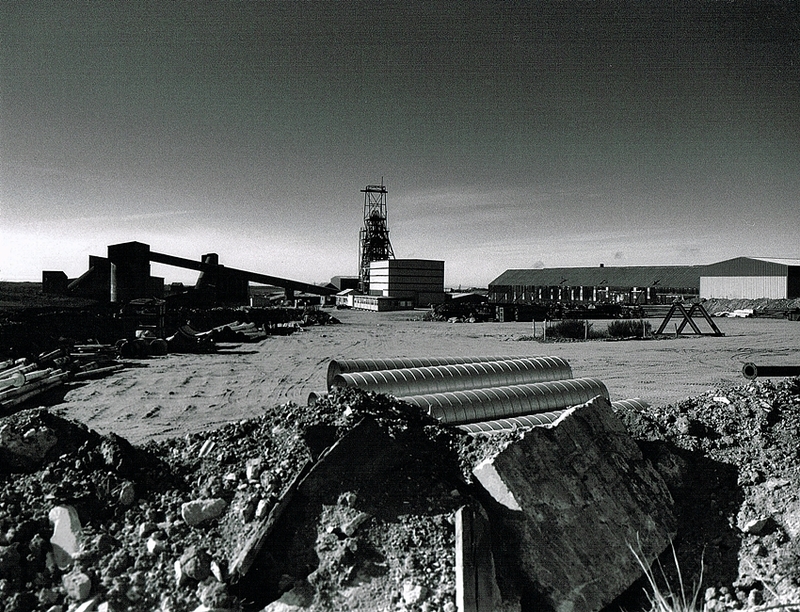 A view across the yard at South Crofty Mine, this was taken in 1998 just after the mine has sadly closed. 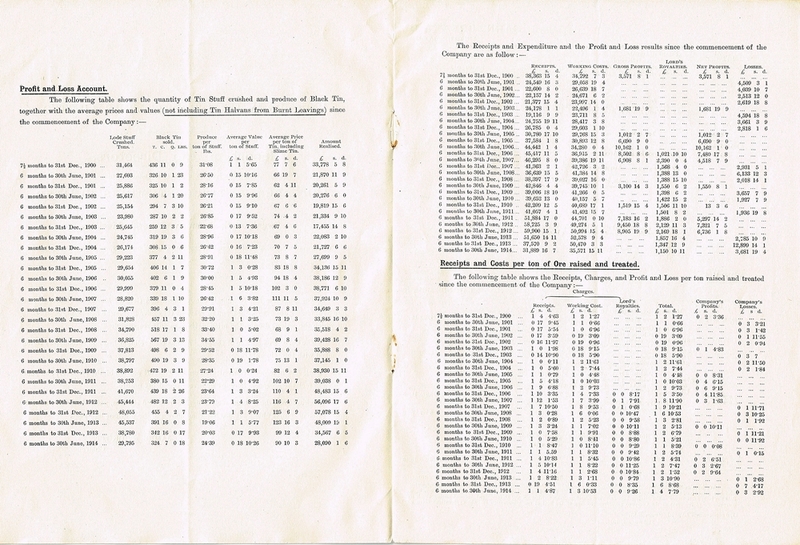 The documents below on the Mining Methods were given to me on while I was on my first visit to the mine in 1992. These important documents were fortunately rescued from a skip at South Crofty Mine after closure in 1998. 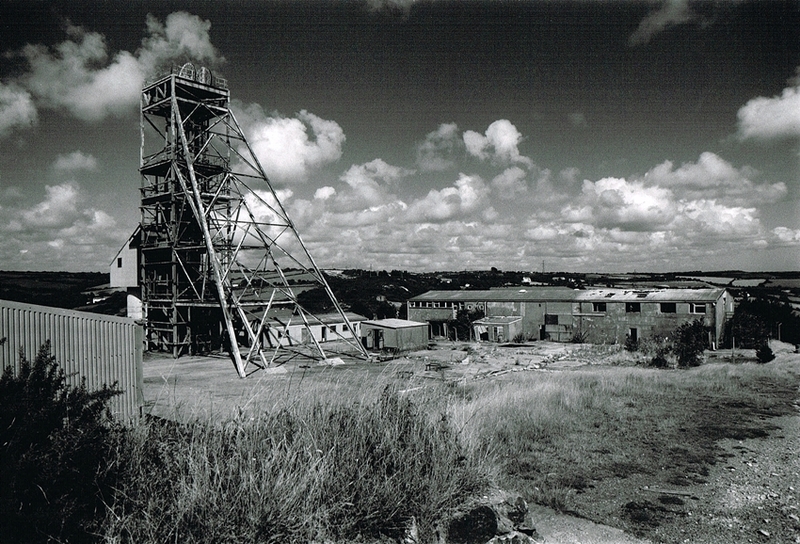 Mount Wellington Mine site, this was taken in the mid 1990’s before the headframe was sadly removed due to health and safety concerns. 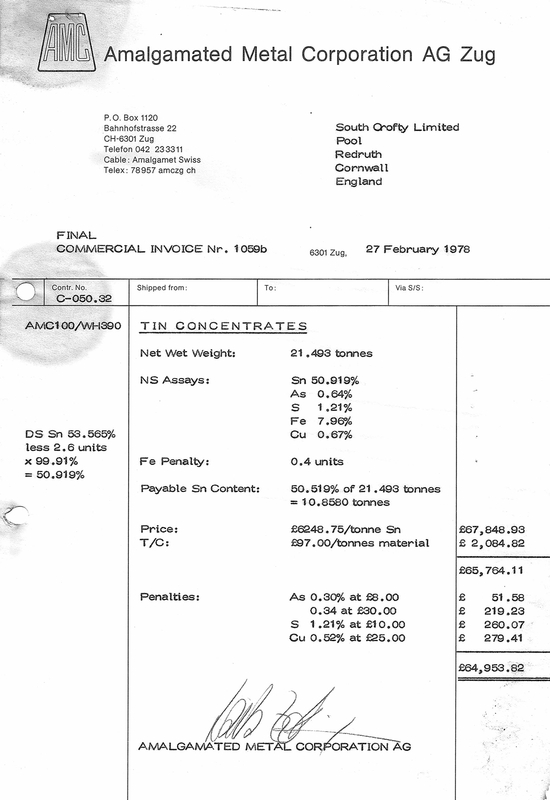 Finally, the documents below were similarly found in a skip when the site was being cleared out. 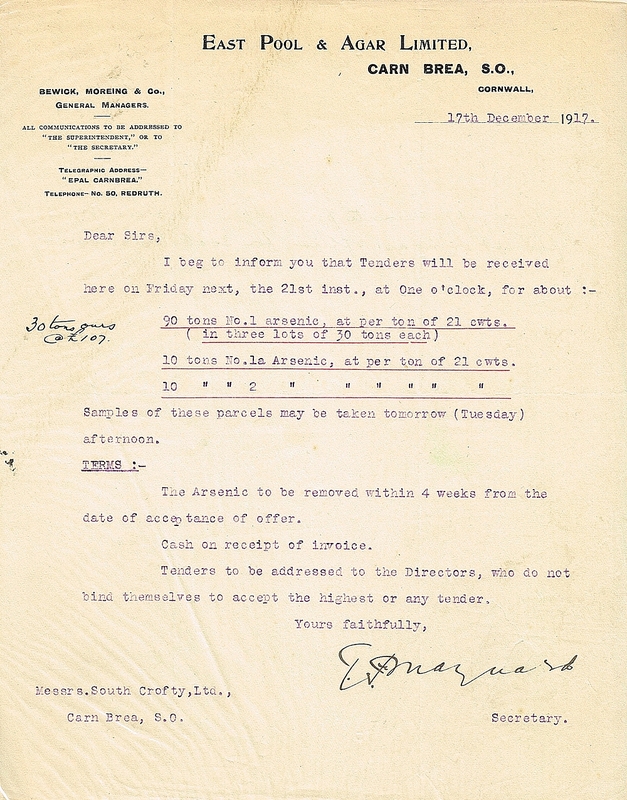 Sadly there was so much paperwork and history was just thrown away. 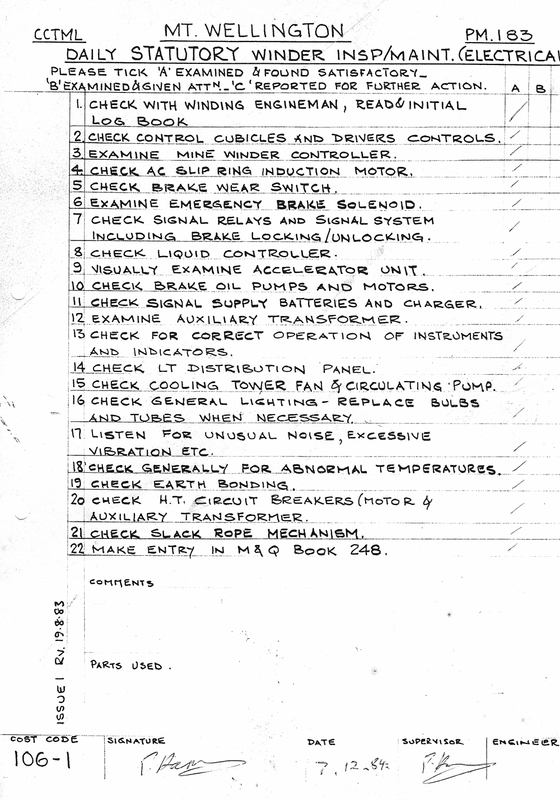 So, that is it for the moment on this page, it will certainly be added to again soon.